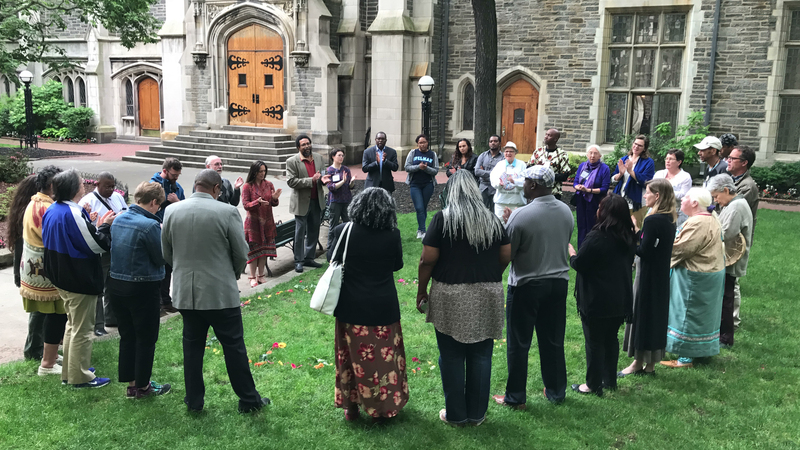 To train, support, and empower faith leaders, the Center for Earth Ethics is once again partnering with the Climate Reality Project to train 30-50 faith leaders from around the country to better address the ecological crisis in their own communities. Ministry in the Time of Climate Change requires an open-hearted approach that embodies the diversity of our country and plurality of ideas we’ll need to mitigate the worst effects of the ecological crisis. From increased storm severity to crippling droughts, it is clear the climate is changing, affecting water systems that all life depends on. In the midst of this change, fossil fuel interests continue to draw and poison groundwater while fracking, putting more heat-trapping pollution in the air. There are also efforts to privatize and commoditize water, even selling it back to the very drought-ridden communities from where it is pumped. What insights and practical solutions do faith communities have to offer to address this? These are the questions that will frame the whole conference. During this session we will split into four groups and rotate between four different speakers on topics designed to deepen our understanding of faith and water. Each session will last 25 minutes. In the wake of devastating storms and in the midst of extreme heat waves, low income and marginalized communities are routinely left without access to water. Many communities also struggle with health problems resulting from inadequate water and sanitation systems, all of which is exacerbated by climate change. This panel will take a clear look at these issues and explore solutions. Training to help faith communities respond to the ecological crisis. Two sessions of 45 minutes each to allow participants to attend at least two sessions. At the end of the training we want to reflect on what we learned and plan for what we can do. We will break into groups to strategize and share ideas that will help transform our communities. The Climate Reality Project will facilitate the session.